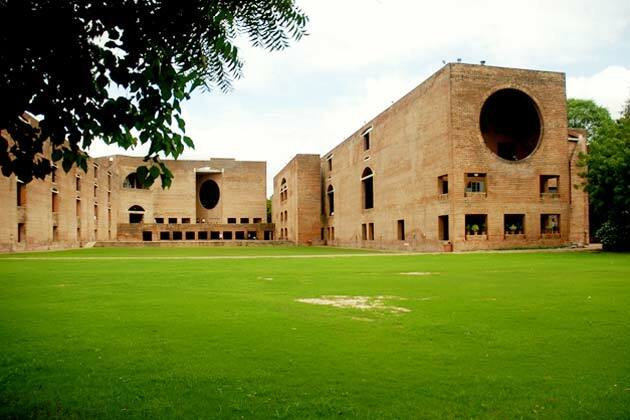 The detailed shortlisting and selection criteria for IIM Ahmedabad for the Class of 2017 is available here. – Weightages changed for interview process and CAT score: The final selection is based on your Personal Interview Score (50% weight), Academic Writing Task Score (10% weight) and your Normalized CAT Total Score (40% weight). In comparison, last year the Personal Interview (PI) Score and Academic Writing Task (AWT) Score were given a total weight of 70% (reduced to 60% this year), and the remainder (30%) was derived from the CAT score and Academic Record score. And, the split up between PI and Writing is disclosed now, it is clear that the interview is the all-important part of your evaluation. – Past Academic performance will not have a direct bearing on the final selection criteria: Last year, in the final selection, the 30% that came from outside PI and AWT was allocated as 70% to CAT score (normalized) and 30% to your academic record (a score based on your performances in X, XII and undergraduate study). This year, the 40% that comes outside the PI and AWT is allocated entirely to the normalized CAT score. In other words, as per our conversation with the admissions office of IIM Ahmedabad, the AR score will not figure in the final merit list used to decide who gets admission. For e.g someone who gets a score of 92% in Std. X, 94% in Std XII and 79% in bachelors will have an AR score of (0.5) *10 + (1.5)*10 + (2.5) *7 = 37.5. The maximum possible AR score is 45. The perceived injustice of distinguishing so cruelly between 79.9% (only 7 marks) and 80.1% (full 10 marks) in graduation will continue to be observed, but we at InsideIIM believe that this is unavoidable – the line must be drawn somewhere. In other words, academic performance during undergraduation continues to bear an important influence on your chances of getting an interview call. The break-up between CAT score and AR score to be used to compute the list of call-getters is not revealed. Last year’s formula was 70% weight for normalized CAT score and 30% weight for AR score. This year, the admissions document has been tight-lipped about this matter. Unlike last year, we do not know what combination of CAT score and AR score will be used to arrive at the list of call-getters. The minimum percentile for general category is 85, 85 and 90 overall, same as last year. But for OBCs it has been increased from 75, 75 and 80 overall to 80, 80 and 85 overall. For the other categories, it has increased from 55, 55 and 75 and in the case of ST – 50,50 and 70 to 75, 75, and 80 across the board. Also, for the first time, it is mentioned that a positive raw score in each section is a pre-requisite for getting a shortlist..
– No favours for girls. No extra marks for gender. – No solution for the normalization of marks across boards (Std X, Std XII and bachelors). High-scoring boards will continue to dominate. Last year’s criteria made it nigh-on impossible for people with less than stellar academic records to get that interview and final admit to IIM Ahmedabad. This year, the difficulty of getting an interview call remains high like before. However, once you get that interview, it is much easier to convert it into a final admit as compared to last year, because your past sins are no longer punished at the final stage. Advice for CAT aspirants with poor past academic performance: Focus on the CAT completely, and try to ace it. You just need to do what is required to get that interview. Once you get there, you have a pretty decent chance of getting a final admit, unlike last year. Go for it!! Let us assume this Arts graduate gets 99%ile with 85%ile+ in both sections. His 10th,12th,15th scores are : 85%,82% and 77%. Just like last year, provided this person is among the top 1% or among the top 50 candidates in terms of CAT percentiles in his academic discipline, he will immediately get a call even though his graduation percentage is low. He will get a call even if he has 95%ile but is among the top 50 candidates in his discipline. However, unlike last year where his 77% would have had a negative influence on his final outcome, this year, he would stand as good a chance as anyone. He just has to do well in the interview. Let us assume this person gets 99.6%ile with 85%ile+ in both sections. His 10th,12th,15th scores are also 85%,82% and 77%. Hence, the Application Rating (AR score) will apply to this person. Let us start with the Application Rating. The engineer’s AR score will be (0.5*7)+ (1.5*7) +(2.5*7) = 3 + 10.5 + 17.5 = 31 out of a total of 45. At this stage, we do not know what combination of AR score and CAT normalized score will be used to shortlist for the PI. Last year, the proportion was 70% CAT normalized Score, and 30% AR score. We keep getting umpteen queries from engineers on our website saying that they have a less than exemplary academic past, wanting to know their chances of getting into the older IIMs. Well, the answer from IIM A is loud and clear. As an engineer, getting that elusive shortlist will most probably remain as difficult as last year, but the chances of getting a final admit are much improved. All the more reason to keep preparing religiously for the CAT. category and for the reserved categories separately. this is ridiculous.i got 75% and 70% in 10th and 12th.does this mean i can’t get into iim a only because of these marks?. Actually i am damn confuse relating the issues of Academic score !! sir i need a query about my profile i have got 6.2 cgpa in 10th and 62% in 12th and i am going to complete my graduation with expectation of getting 60% and going to appear in CAT 2014 if in case i can expect call from any old IIms then how much i have to get in CAT this year !! thanking you sir ! do post graduate degree have an extra advantage at any stage of selection process ? Check selection/admission process articles under the Best of InsideIIM section. You should get your answers there. respected sir/mam my academic credentials r as follows..10-93%sainik school imphal cbse manipur,class xii-78.4 ssi imphal cbse,B.E electronics and communication-69.88% rgpv bhopal madhya pradesh…work experience in crompton and greaves 1 and half year..what r my chances in getting into iims..reply is crucial and if i pursue m.tech and write cat in my last year of post graduation will a pg helps in iims selection criteria….